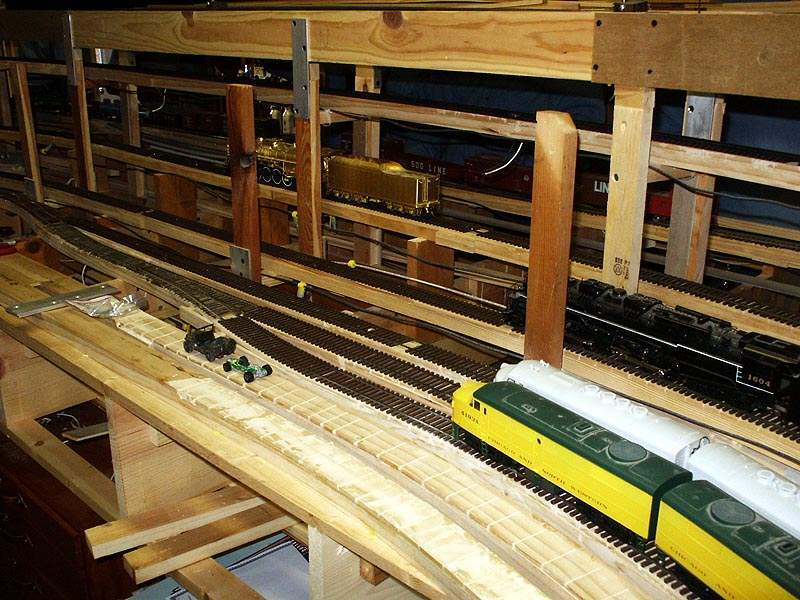 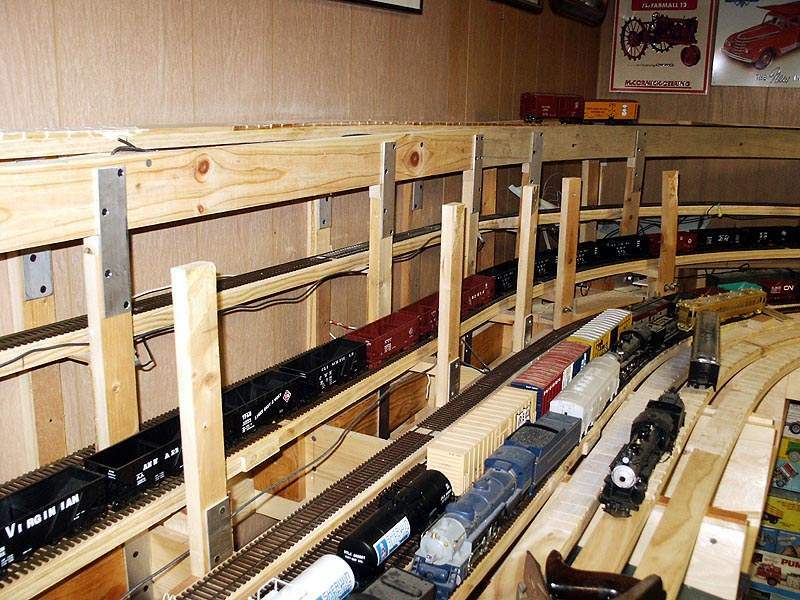 As you can see, Roy's dream layout is under construction. 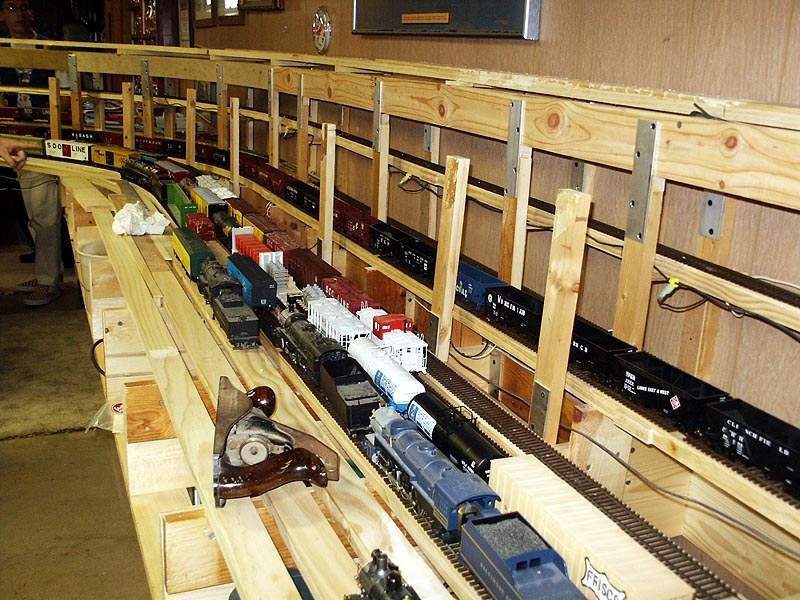 This marvel of bench work was revised recently when the radius of the corners were not large enough to handle the River Raisin locomotive requirements. 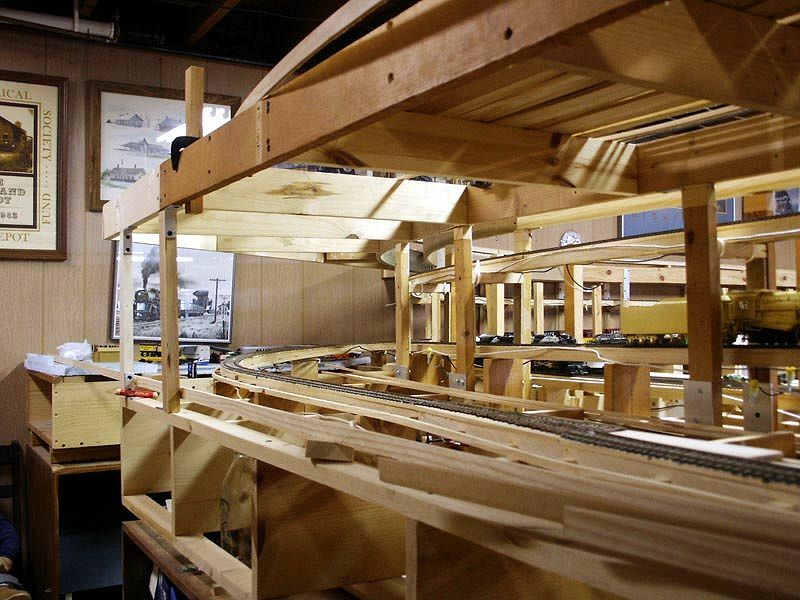 Roy built a model first then proceeded to construct the bench work working from AutoCAD drawings. 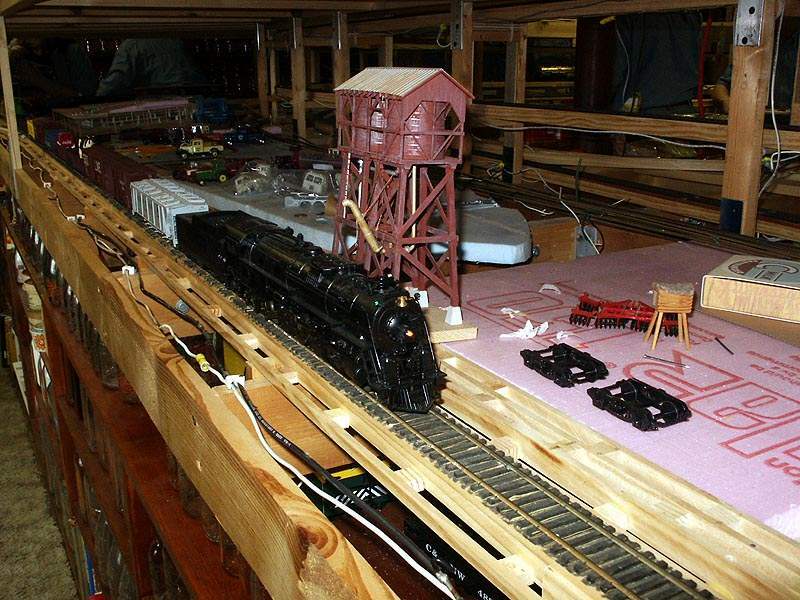 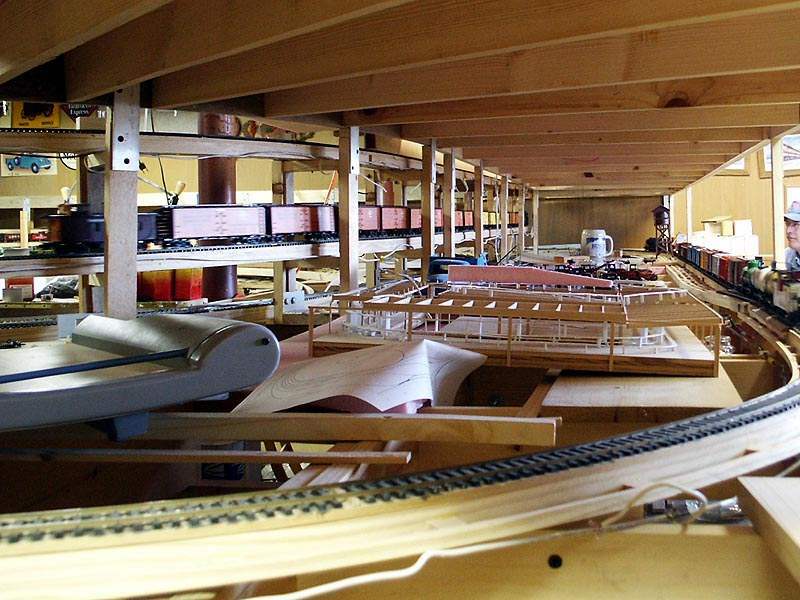 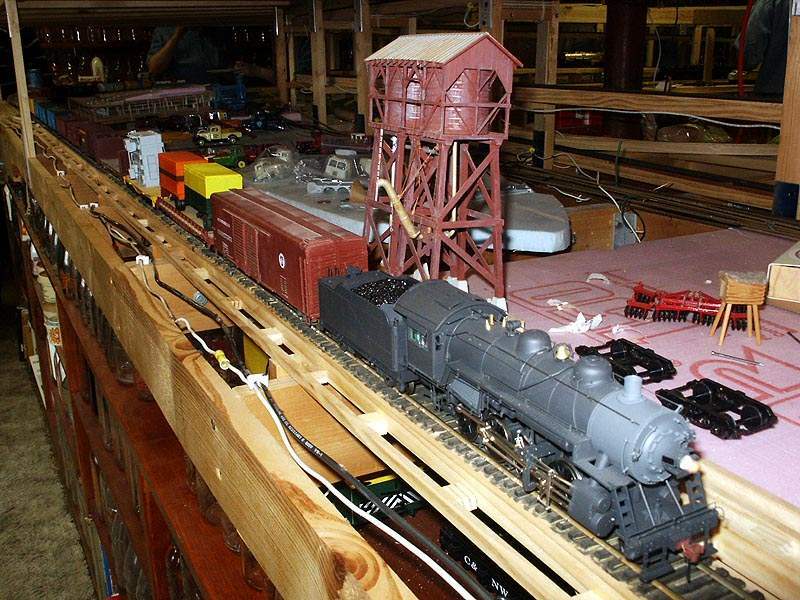 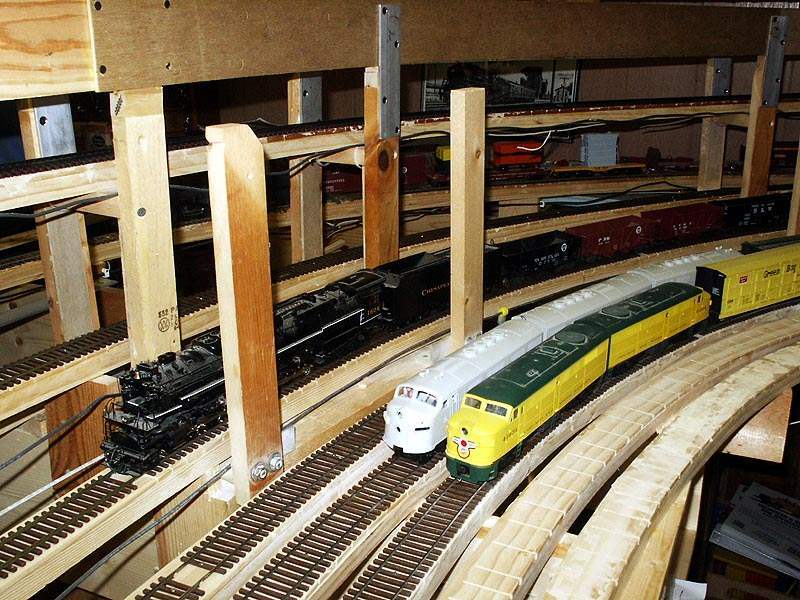 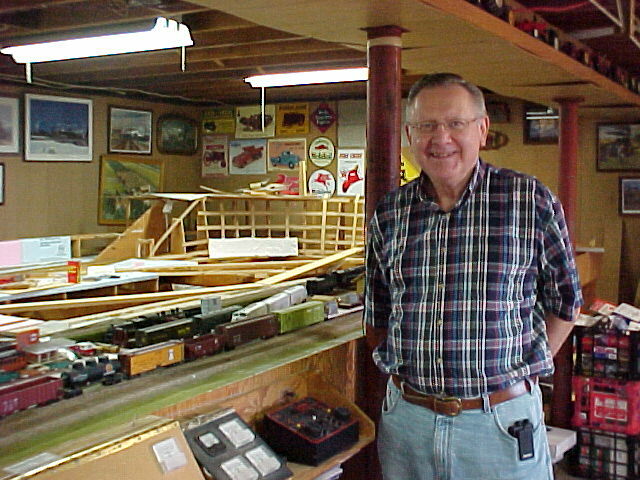 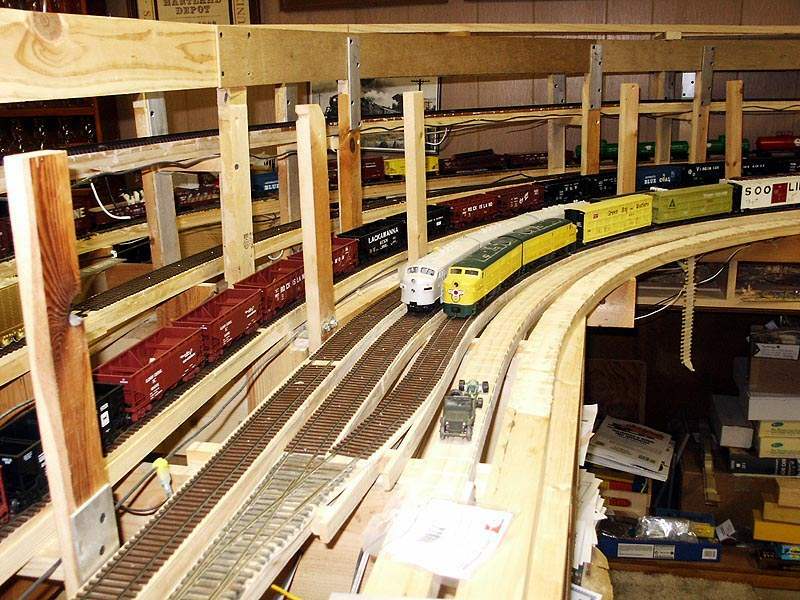 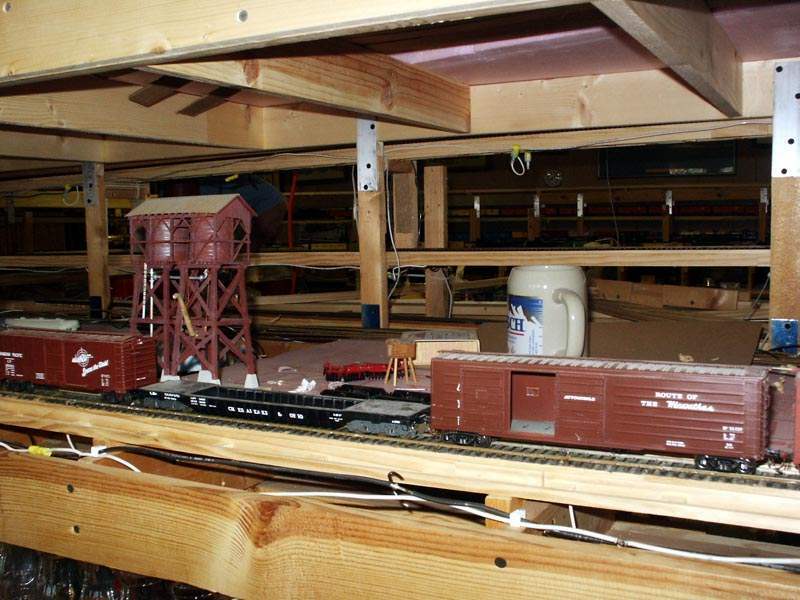 Roy's use of AutoCAD has helped him develop a very complex network of rail that will house years of hobby time in developing a miniature local snapshot of a past era. 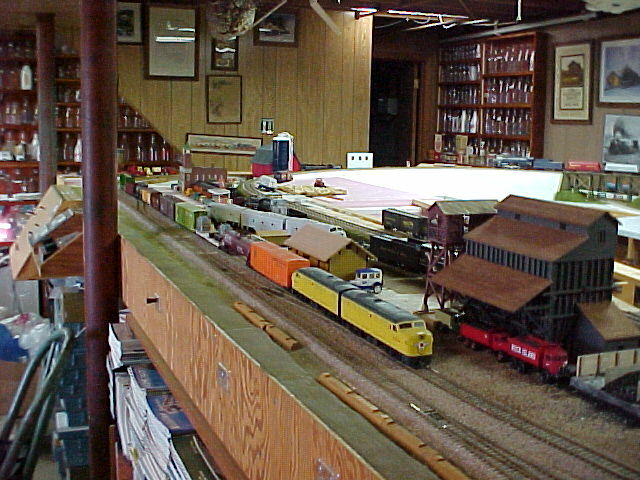 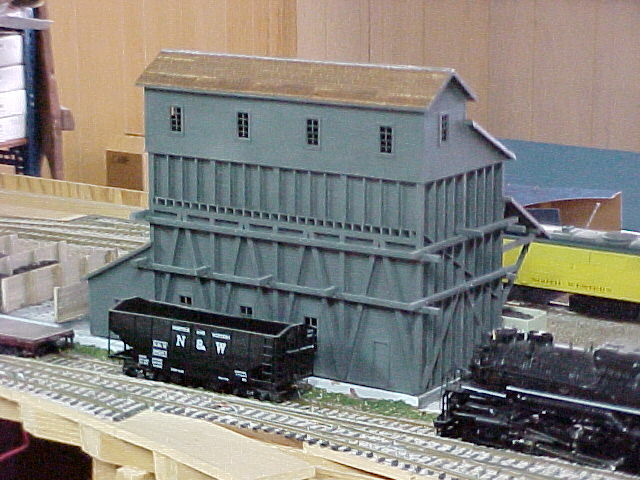 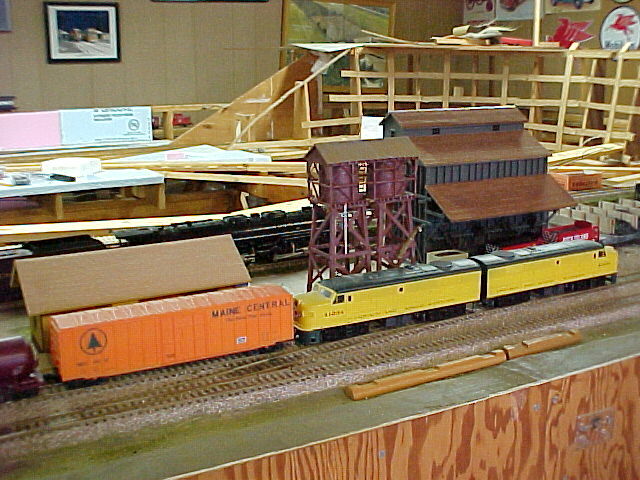 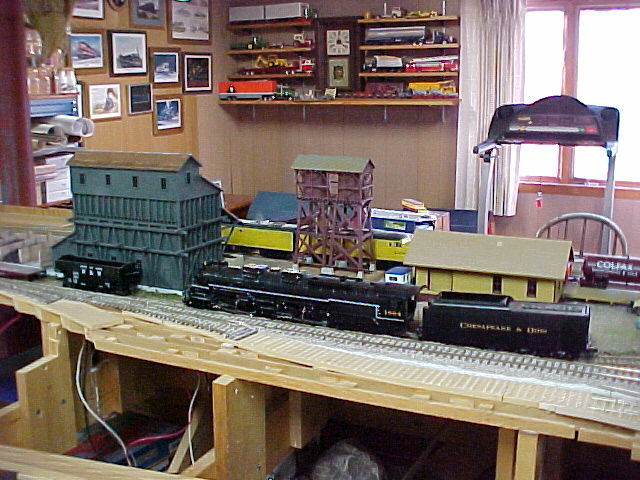 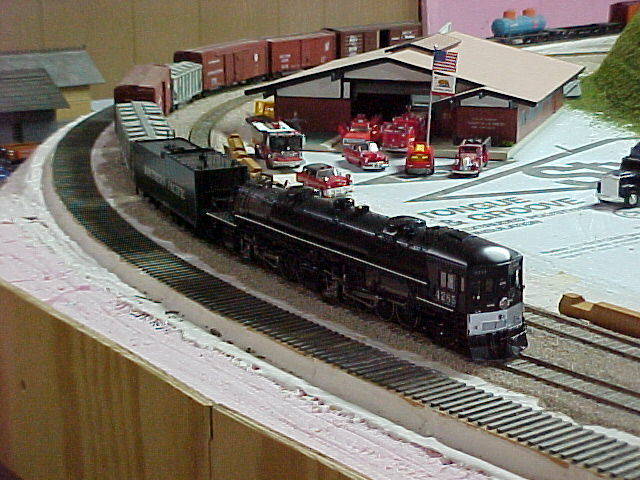 The place in time that is being modeled is Merton Wisconsin featuring the Soo Line and Milwaukee Road. 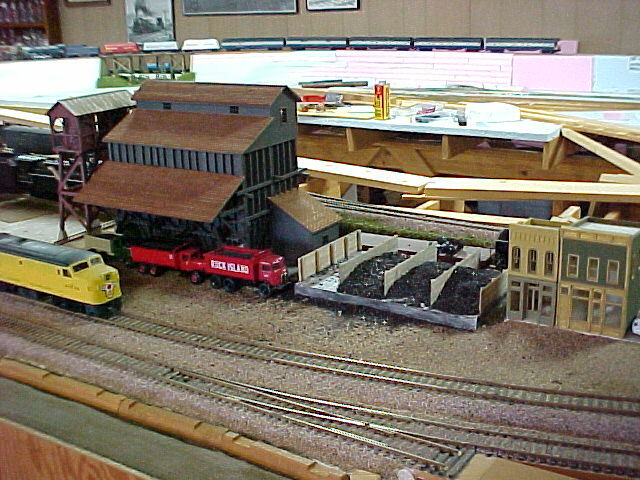 Merton supported many business in the past and most are in the process of being recreated. 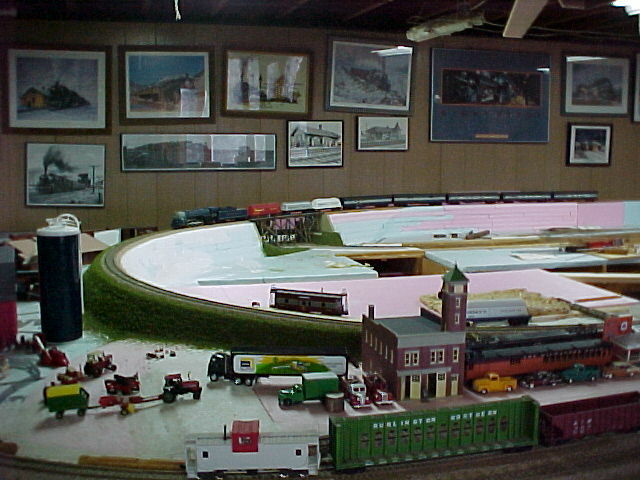 Amongst the houses near the business district will be an ice warehouse and processing plant, canning factory, coal elevator, lumber yard, sand and gravel, limestone processing, stockyard, and oil and gas storage facility supporting tank car delivery. 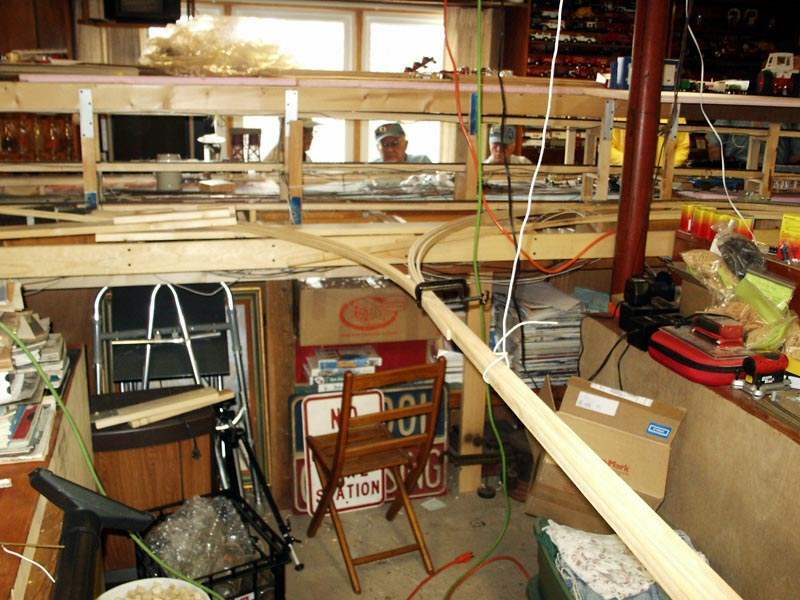 Bench-work is an open spline under the rails supported by the H style girder system. 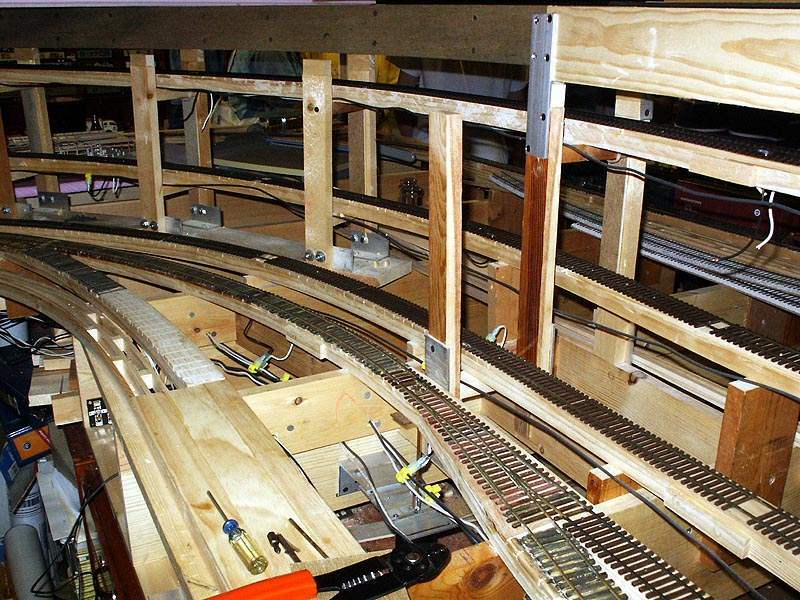 the splines are constructed of knotless strips of wood approximately 1/4 x 3/4 bent in the shape of the rails creating their own transitions into the radius of each curve. 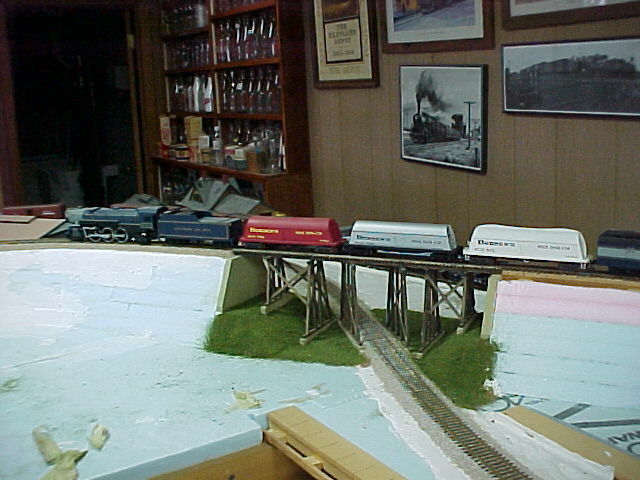 Wood blocks of the same width gap the three spline sub-road support. 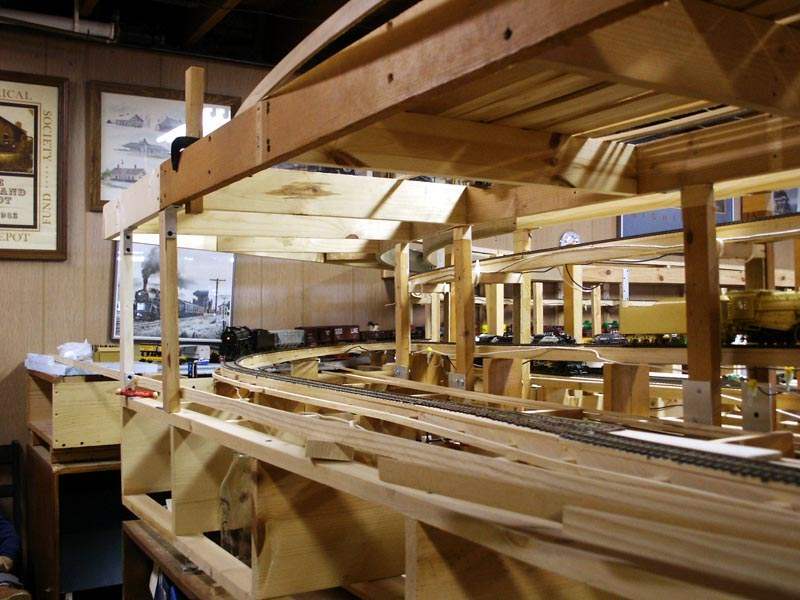 the splines are capped with 1/4" board glued to the surface creating the roadbed. 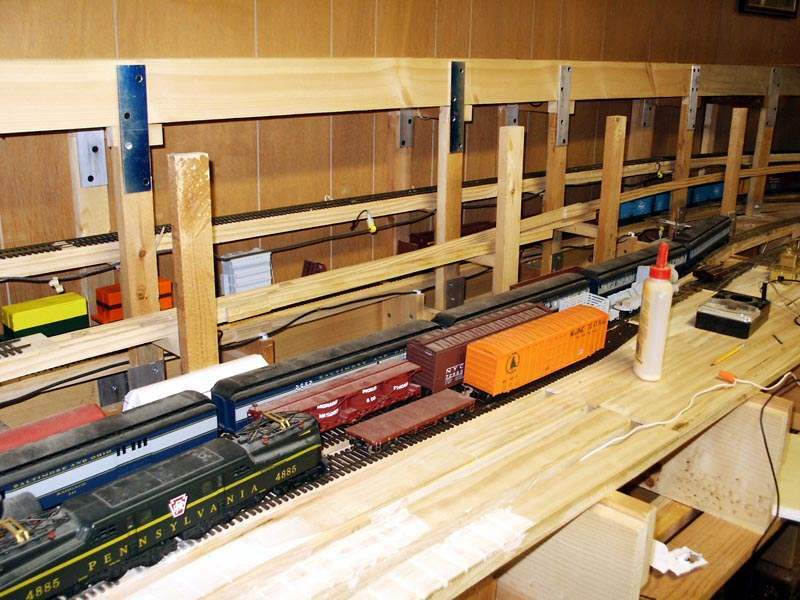 The cap is then sanded smooth and the pre-stained ties are glued in place creating the support for the weathered rail nailed in place. 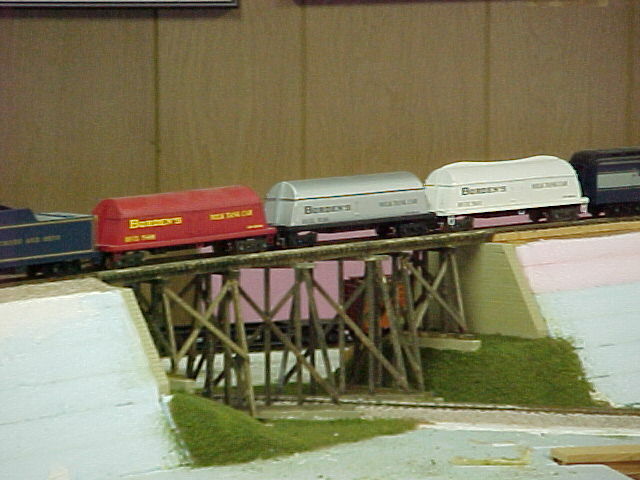 Leaving the mainline on the lower level, the freight or passenger service climbs around the parameter to the upper level at a rate of 1 to 1-1/4% incline. 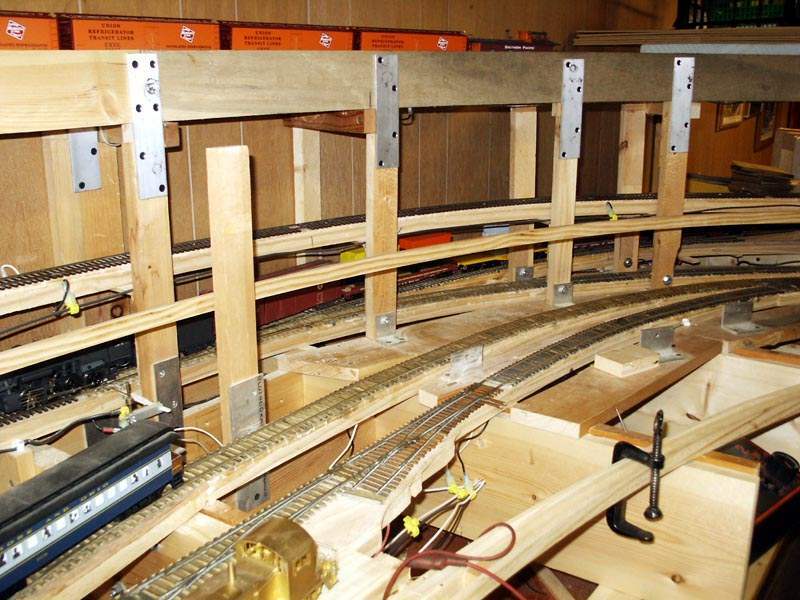 This rate of climb is hardly noticed by the high quality work horses Roy is using to pull his rolling stock. 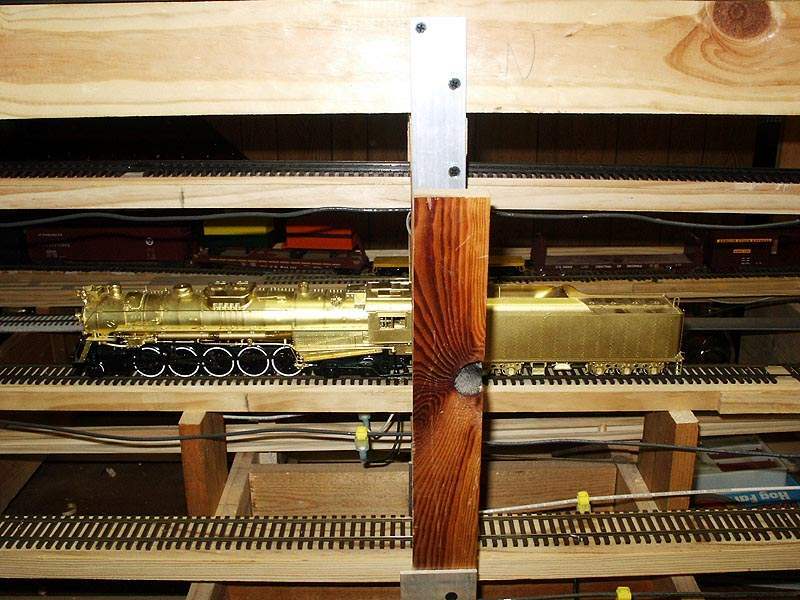 After servicing the upper level, the consist will enter the parallel track returning to the lower level where staging and repair shop awaits. 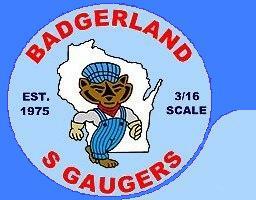 All information contained on this site is � 1999 - 2006 Badgerland S Gaugers, unless otherwise credited.